At 8:30pm on March 23, 2019, Fernando (Andy) Teodoro parked his car a block away from Fillmore St in San Francisco. It was a Saturday night and he was going to meet his friends for dinner. As he made his way towards the restaurant, an altercation broke out between two men. Shots were fired. Andy turned to run away but was hit by one of the bullets in his back. He was an innocent victim to a senseless shooting and is now at risk of paralysis from the waist down. After being shot, Andy fell on the ground and immediately noticed that he could not feel his legs. He had the presence of mind to call one of the friends he was meeting for dinner, sent them a drop pin of his exact location, and then called 911. His friends ran to find and help him despite the mayhem all around them and a dead body lying a few feet away. These friends kept Andy calm and safe as the police and ambulances started to arrive. He was taken to SF General Hospital and needed a life-saving operation. The bullet tore his diaphragm, destroyed his spleen and caused significant damage to his spine. 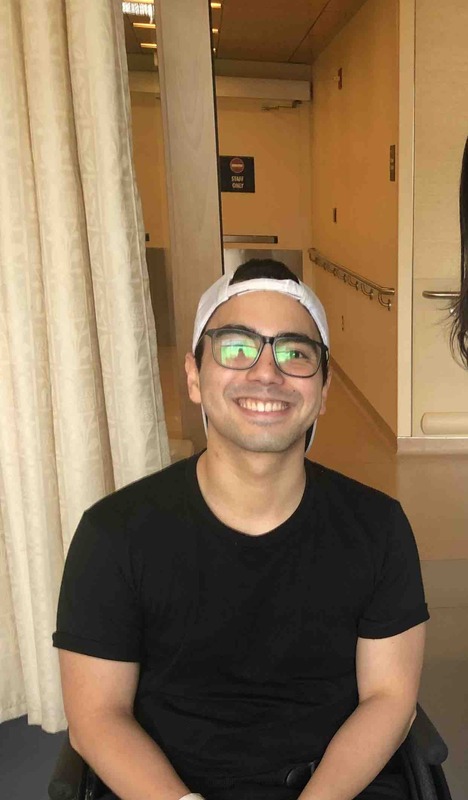 Upon waking from the anesthesia, Andy’s first words to friends were: “hassle...hassle mabaril bro” (“it’s such a hassle to be shot bro” in Tagalog). This traumatic event did not take away his courage, dampen his hope, or diminish his strength. Instead of being angry or bitter, Andy has stayed positive and is 100% focused on recovery. He is stable but doctors are not optimistic that he will ever recover use of his legs. His first step towards recovery is moving to a physical rehabilitation center in northern California. While he still does not have any feeling from the waist down, Andy has remained extraordinarily positive. A doctor told him that there was a 90% chance that he was paralyzed -- Andy’s response? “10% is more than I need.” We are (cautiously) hopeful that Andy will be able to walk again and want to help raise the funds needed to get him there. 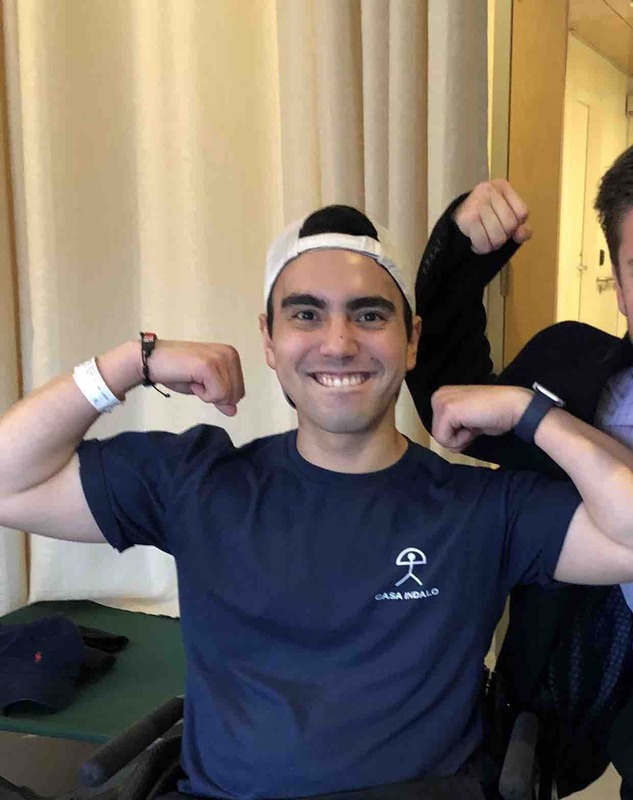 Neurosurgeons have commented that given Andy’s young age, health, positive attitude, and strong support system, he can make meaningful progress and potentially regain mobility during physical rehabilitation. This may take months, or even years, but Andy is completely determined to get back on his feet. 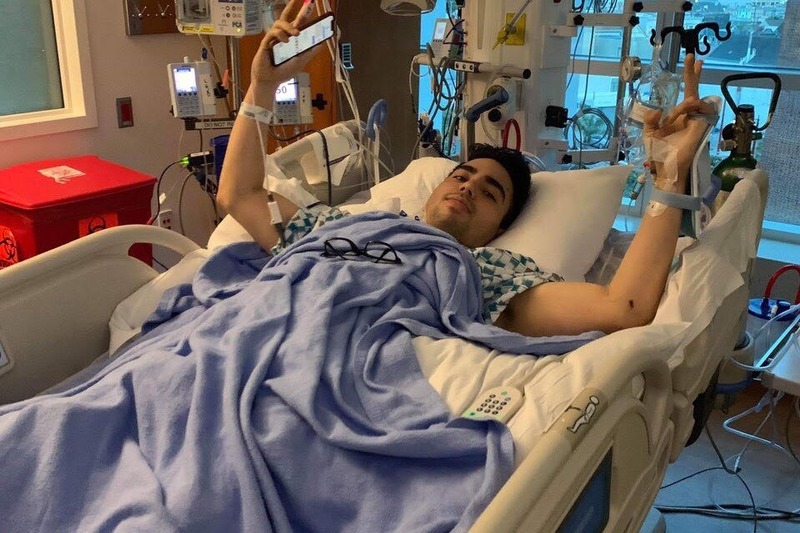 After his first surgery the night of the shooting, Andy had a second successful operation on Wednesday, March 27. Doctors put screws and rods in his spine to help with reinforcement and stability. He has recovered extraordinarily quickly from these two procedures and was released from the ICU on April 1. Doctors have decided that it is safer to leave the bullet lodged in his chest wall (close to the lungs). As a result, they are unable to take an MRI or give a more accurate assessment of spinal damage. Instead of additional surgeries, doctors have recommended that Andy undergo rigorous physical rehabilitation at a leading facility that specializes in traumatic brain and spine injuries in young adults. Physical rehabilitation is the best next step to help Andy recover, become self-sufficient, and hopefully regain mobility. Andy is a beloved son, brother, friend, and colleague -- the 20+ visitors per day in the ICU are a testament to that. Given everything that’s happened to him, it would have been completely understandable for Andy to be bitter or angry -- instead, he has spent his days in the ICU becoming friends with staff, entertaining visitors, and looking forward to regaining his strength and mobility. Thank you for reading Andy’s story. We appreciate any help or contribution, no matter how big or small! Please share our campaign link on social media and with your friends. We will keep you posted on the use of funds and his progress going forward. If you have any questions, feel free to contact us directly. It’s been 3 weeks since that fateful day and Andy is doing well, learning new skills everyday. We are very grateful that this Rehab Center is so knowledgeable in this sort of injury and specialty rehabilitation. They expect him to lead a normal, full and productive life after the program. Of course, with limitations and special needs. He is working so very hard at therapy despite the fact that they just discovered yesterday that he has a fractured rib! This happened when he fell to the ground on that fateful day. His appetite is great and he is slowly regaining all the weight he lost, eating home cooked meals prepared by us and food brought by his wonderful friends. He pushes himself more and more each day, so much that his therapists are raising his goals. He also works out daily at the gym to strengthen his core and arm muscles. He still surprises all the staff with his infectious smile and positivity. Seems gunshot injuries are quite common here. ☹️. He cannot do the aqua therapy due to the deep gunshot wound in his back that is still healing as they are worried about infection. 4 days and 5.1k shares later, we hit 100%.